Looking for Man & Van? At the Big Yellow Express we do things differently, making your experience easy and enjoyable. Click below to see why you should use us for your removal needs. We are the best known MAN AND VAN LONDON company, FAST RELIABLE COMPETITIVE PRICES. We have different size of vans on call every day to suit your needs on a moving day. We have LWB sprinter vans for moves up to 2 bed flat with a reasonable furniture and mega Luton for the full house move. For more information about which van will be the right for your MAN AND VAN LONDON hire and to make a booking feel free to get in touch with us anytime. Use our popular online quote to get your price in seconds, we are fully confident that we won’t be beaten at prices. By combining all the things you will need when moving, man and van services will save you so much money. It will be more expensive if you had to seek for all the services and tools needed individually and from separate companies. 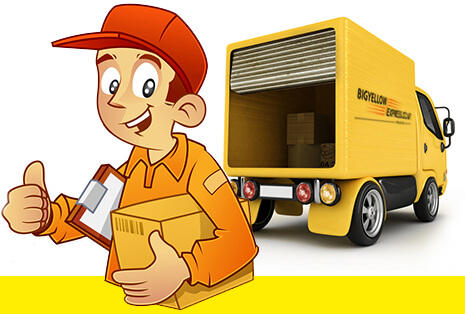 A Man and Van company in London will lower the cost considerably without taking away some of the important services. Instead they will offer you more services for a lower price; for instance, you will be allowed to ride with the van for free. Too much time will be spent if you were selecting different moving services from different companies. You will spend more time comparing prices for better rates, and haggling for price reductions. This is not necessary when dealing with a Man and Van service providers. All the services are included in just one package and the customer chooses their most preferred package depending on the services they need. In just a few minutes, you will have decided on the right package to go for. With the best Man and Van services in London, you will be working with CRB certified drivers and staff with years of experience. This means that you get to enjoy the best of both van and man. You get to choose the right size of van depending on how much stuff you need to move. This is what gives you peace of mind as you move, because everything is well taken care of, by a team of professionals. A Man and Van company will be more organized, thereby offering more efficient services to their customers. This is far from what you get when you outsource the services of different companies. With these and many more reasons to hire Man and Van services in London today, we can assure you of fast and reliable moving services. We have the most competitive prices for our Man and Van services, lower than you can get anywhere in the country today. Our different sizes of vans are on call every day, therefore you can be sure to get the right size to suit your needs on your moving day. Our staff does things differently, to make your experience easier and more enjoyable. If this is what you are looking for, use our online quote to get the best price in seconds.